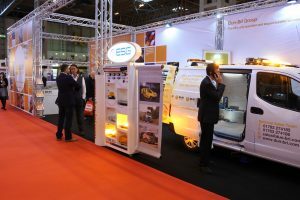 Commercial Vehicle Show 2018: What’s going on at Stand 5C97? The ‘CV Show’ returns from the 24 to 26 April 2018 at the NEC in Birmingham. It is the only dedicated specialist road freight transport exhibition in Europe placed to help customers and suppliers find each other in a growing marketplace. We’ll be at stand 5C97 in Hall 5 of the NEC in Birmingham this year, with a range of kit from our usual suppliers and some exciting new additions! What’s happening on Dun-Bri’s stand this year? To start with, we’ve got our biggest exhibition space ever at the NEC with more product samples and live demos than ever before. 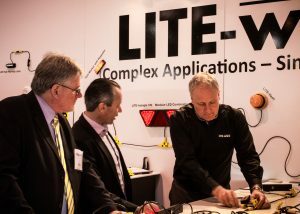 We’re also welcoming LITE-wire, the unique auto-electrical wiring system that revolutionises the specification and installation of all manner of vehicle lighting and warning products, ECCO Safety Group, Redtronic, Vignal, LAP Electrical and Labcraft to the stand. This is in addition to newcomers – Technology-LED. 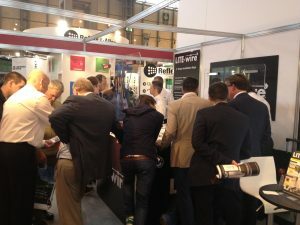 They will be showing their new ranges of LED warning lights and LED interior lighting – all designed in the UK. Many of you will see their Cylon LED light head for the first time alongside their new ITL-200 and ISL-500 LED interior and strip lights. 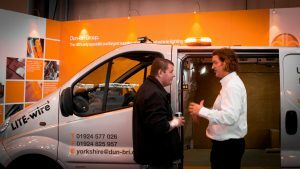 We’re also pleased to launching a new product design-to-delivery service with our Dun-Bri Engineering division at the show. This will enable many of our customers to design their own products for the first time. 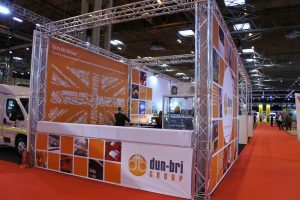 “More and more customers are approaching us and asking for bespoke, or more specialist products.” says Andrew Strath, Group Managing Director of the Dun-Bri Group. “With that in mind we’ve introduced a new dimension to our Engineering division, to give our customers a new design to manufacturing service for lighting and associated products”. You will be able to meet product and design specialists from across the Group as well as some of your usual Sales contacts – so why not join us for some refreshments on the stand? Where can I get tickets for the Commercial Vehicle Show 2018? 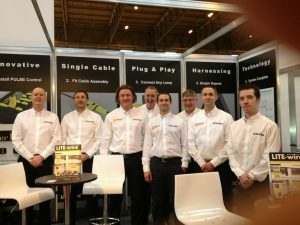 Do you remember when we first exhibited at the show?